The housing crisis in the Bay Area and beyond, economic stagnation, widening wealth inequality, environmental degradation―can Henry George's ideas offer a path forward that unfettered capitalism and incremental socialism lack? Interviews, roundtable discussions, and debates. 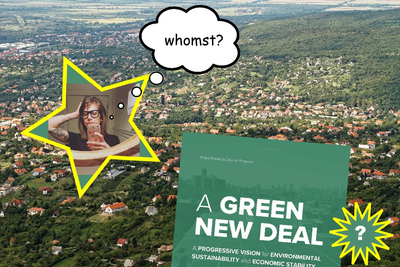 Alex Baca has plenty to say about the shortcomings of the Green New Deal platform, with respect to the waste that comes from our land use decisions. We're also joined by Ollie Zhu, as we probe key questions about equity (for whomst? ), chat about rust belt urbanism, and talk about the challenges of grow-the-pie solutions being balanced against zero-sum battles.